Step 1: in the first place, select the Pen tool and in preferences choose the path mode. Step 2: now and after being sure about the image to be cut out, we have to click on the outline of the image. With each click, a tiny square will appear, and the closer they are to each other, the more accurate our silhouette will be. Step 3: once we get back to the first square with which we started our selection, Photoshop will show us a circle indicating that we can close the outline. Click on it and give it a name. Step 4: now right click with your mouse on the path and choose the option Make Selection. 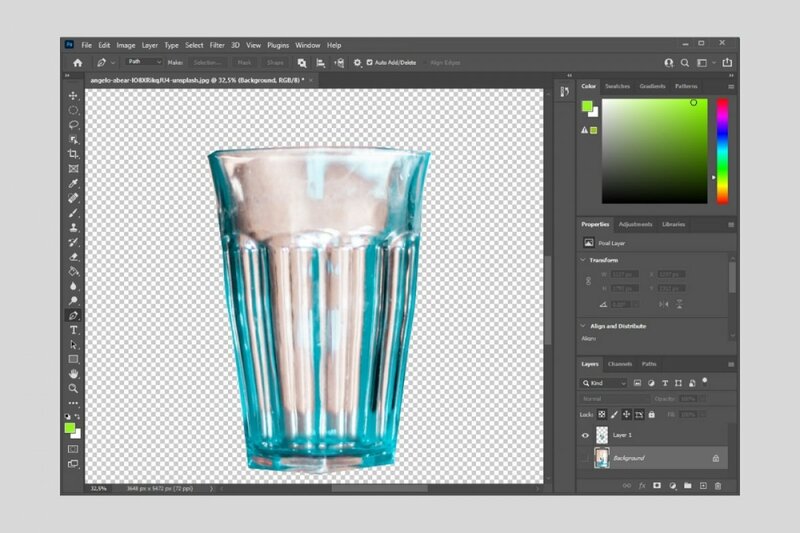 Step 5: now, in the pop-up window we can choose the feather radius for the pixels on the border of the image to blur them slightly and make sure that the crop goes unnoticed. We have to play around with the radius value to achieve the desired effect for our silhouette. Step 6: with the cut-out selection active, we have to press Ctrl+J to create a new layer with the cut-out selection. Thus, the selected image with a transparent background can now be used in the other image to carry out any kind of montage.